BourseIndia have strong Research Analyst committed to provide more than 90% accurate commodity trading calls. 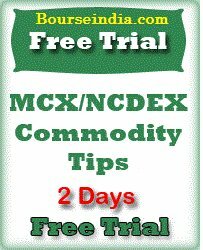 Register for 2 days free trial on any commodity tips and Start Earning Today. You get sufficient time to enter in our calls & can maximize your profit being with us.